Ginette Aley and J. L. Anderson, eds., Union Heartland: The Midwestern Home Front during the Civil War. 2013. Candace Bailey, Music and the Southern Belle: From Accomplished Lady to Confederate Composer. 2010. Michael B. Ballard, Grant at Vicksburg: The General and the Siege. 2013. Charles Pete Banner-Haley, From Du Bois to Obama: African American Intellectuals in the Public Forum. 2009. Robert Bray, Reading with Lincoln. 2010. Lincoln Prize Honorable Mention, 2011. 2010-11 Russell P. Strange Memorial Book Award of the Illinois State Historical Society. George S. Burkhardt, Confederate Rage, Yankee Wrath: No Quarter in the Civil War. 2007. Paperback, 2012. George S. Burkhardt, ed., Double Duty: Edward W. Bacon’s Civil War. 2009. Winner of the Museum of the Confederacy’s 2009-2010 Founders Award. Michael Burlingame, ed., Abraham Lincoln: The Observations of John G. Nicolay and John Hay. 2007. Donald A. Clark, The Notorious “Bull” Nelson: Murdered Civil War General. 2011. Bruce Dinges and Shirley Leckie, eds., A Just and Righteous Cause: Benjamin H. Grierson's Civil War Memoir. 2008. Robert S. Eckley, Lincoln's Forgotten Friend, Leonard Swett. 2012. A. E. Elmore, Lincoln’s Gettysburg Address: Echoes of the Bible and the Book of Common Prayer. 2009. Recipient of a Certificate of Excellence from the Illinois State Historical Society. Jason Emerson, Giant in the Shadows: The Life of Robert T. Lincoln. 2012. Jason Emerson, Lincoln the Inventor. 2009. Recipient of a Certificate of Excellence from the Illinois State Historical Society. 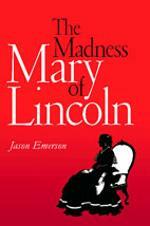 Jason Emerson, The Madness of Mary Lincoln. 2007. Book of the Year, Illinois State Historical Society. Paperback, 2012. 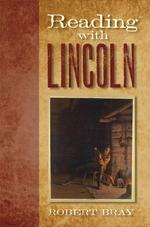 Richard W. Etulain, ed., Lincoln Looks West: From the Mississippi to the Pacific. 2010. Joseph Fornieri, Abraham Lincoln, Philosopher Statesman. 2014. Joseph Fornieri and Sara Gabbard, eds., Lincoln’s America, 1809-1865. 2008. Guy C. Fraker, Lincoln’s Ladder to the Presidency: The Eighth Judicial Circuit. 2012. Awarded for Superior Achievement by the Illinois State Historical Society, 2013. 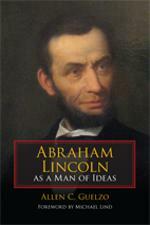 Allen Guelzo, Understanding Lincoln: Abraham Lincoln as a Man of Ideas. 2009. Recipient of a Certificate of Excellence from the Illinois State Historical Society. Guy R. Hasegawa, Mending Broken Soldiers: The Union and Confederate Programs to Supply Artificial Limbs. 2012. 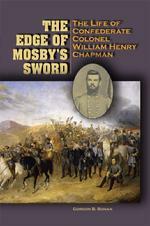 Honorable mention, best book of 2012, Civil War Monitor. Harold Holzer and Sara Gabbard, eds., 1863: Lincoln’s Pivotal Year. 2013. Harold Holzer and Sara Gabbard, eds., Lincoln and Liberty: Slavery, Emancipation, and the Thirteenth Amendment. 2007. Rhonda M. Kohl, The Prairie Boys Go to War: The Fifth Illinois Cavalry, 1861-1865. 2012. James Lander, Lincoln and Darwin: Shared Visions of Race, Science, and Religion. 2010. Jack C. Mason, Until Antietam: The Life and Letters of Major General Israel B. Richardson, U.S. Army. 2009. Army Historical Foundation's 2009 Distinguished Writing Awards: Book of the Year, Biography Category. Thomas D. Mays, Cumberland Blood: Champ Ferguson’s Civil War. 2008. 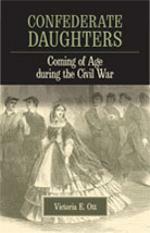 Victoria E. Ott, Confederate Daughters: Coming of Age During the Civil War. 2008. Jared Peatman, The Long Shadow of Lincoln’s Gettysburg Address. 2013. Timothy Sedore, An Illustrated Guide to Virginia’s Confederate Monuments. 2011. Glenna E. Schroeder-Lein, ed., Treasures of the Abraham Lincoln Presidential Library and Museum. 2014. 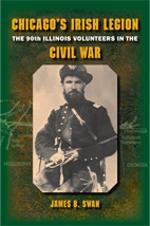 James Swan, Chicago’s Irish Legion: The 90th Illinois Volunteers in the Civil War. 2009. Recipient of a Certificate of Excellence from the Illinois State Historical Society. Ferenc Morton Szasz, Abraham Lincoln and Robert Burns: Connected Lives and Legends. 2008. Mary Weaks-Baxter, Christine Bruun, and Catherine Forslund, We Are a College at War: Women Working for Victory in World War II. 2010. Frank J. Williams and Michael Burkhimer, eds., The Mary Lincoln Enigma: Historians on America's Most Controversial First Lady. 2012. Gary Phillip Zola, ed., We Called Him Rabbi Abraham: Lincoln and American Jewry, A Documentary History. 2014.